If you’ve had your eye on Quake Champions from Bethseda and id Software, then Friday is your day. Beginning on May 12, Quake Champions is available as a public, open beta until Sunday, May 21 at 4 p.m. Eastern time. The developers aren’t calling it an open beta, opting for the term “Large Scale Tech Test” instead, but the end result is the same. Head over to the Quake Champions website to get a trial key—no one is being denied. Sign-in or create a Bethseda.net account, redeem your key, download the Bethseda.net beta desktop launcher, and install the game. It’s a whole bunch of steps on paper, but I went from lacking a Bethesda account to downloading Quake Champions in mere minutes. Quake Champions’ minimum system requirements aren’t intense whatsoever, starting with the seven year-old Intel Core i3-530. But if your processor goes that far back you’ll need a discrete graphics card, with the minimum being an Nvidia GeForce GT 630 or an AMD Radeon R7-240 with 1GB or more of dedicated onboard VRAM. If you have a more advanced processor, you can also make do with Intel HD 4600 integrated graphics or greater. That means select Intel Haswell chips and up. As for system memory, the minimum is only 4GB, and you’ll need at least 64-bit Windows 7. The impact on you at home: One area where Quake Champions does meet the bar of today’s AAA titles is oversized disk space. Bethseda says you’ll need a whopping 50GB for the game. 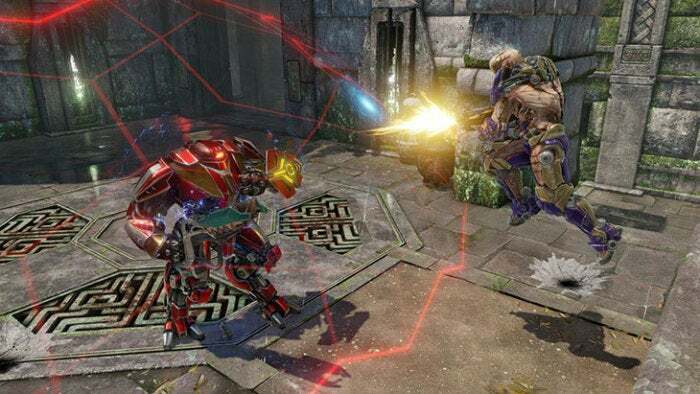 The game will “remain live 24/7 during the Tech Test,” according to the Quake Champions website. Previous closed betas had an NDA, but the openness of this beta means anyone can stream their exploits on Twitch or capture them to post later.